Being Indian, we all have built in ingredient ‘peace’, and that puts us in a different platform from the rest … our commitment towards peace is bound by relationships – Humans with Human, Animal, Object and Finally dedicated to ‘Vishwa Shanti’ … The country has several Shanti Stupas located all over the country constructed at various times to promote peace and tranquility. I dedicate this article to the birth day of our own Mahatma Gandhi in this 2nd October as my tribute. I am fortunate to visit all the Shanti Stupas we have in our country, but I realized that after visiting the Vishwa Shanti Stupa at Leh in April 2016 that within a span of 11 years I have been to all the Shanti Stupas in our country. My journey of Stupas started in way back 1995 when I was posted in Muzaffarpur in Bihar, barely 35 km away from the historical place of Vaishali. This archeologically important because of two major historical events – Lord Mahavira was born here in 599 BC and Gautam Buddha preached his last sermon. 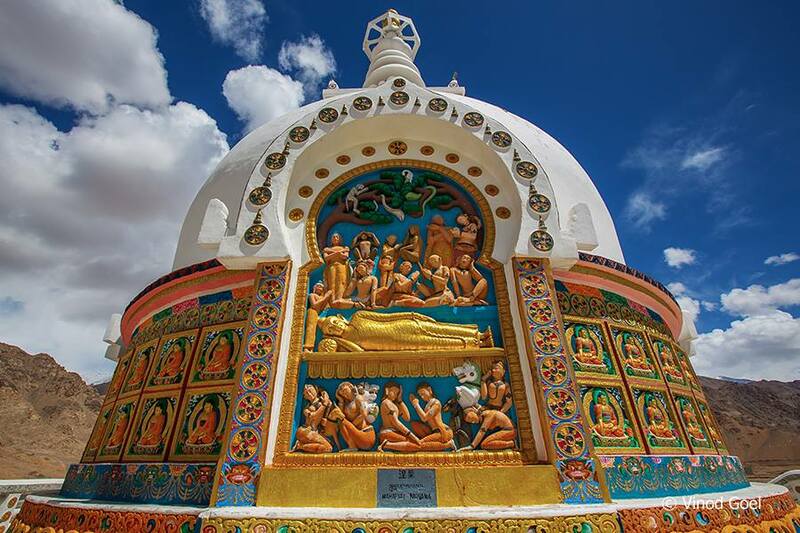 The construction of the Stupa started in 1990 and was completed in 6 years . This was inaugurated by then President of India Shri Shankar Dayal Sharma, in October, 1996. 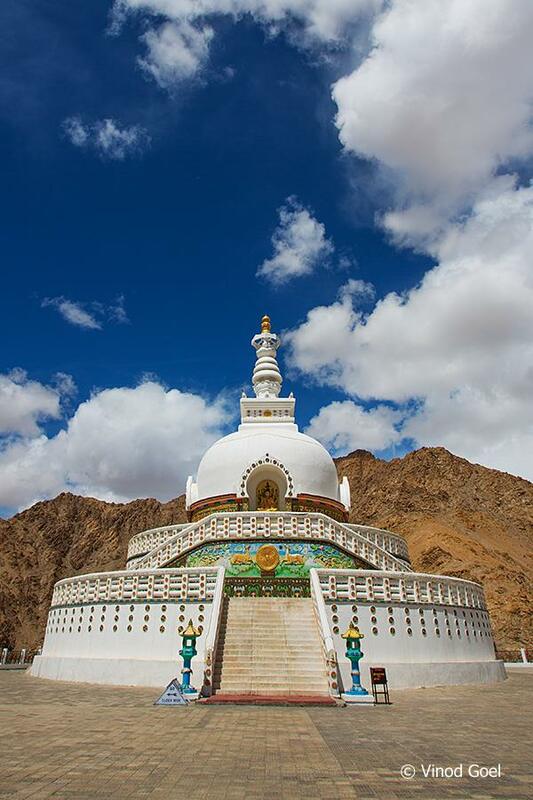 This 38-meter high Shanti Stupa is the highest in India was built by the Nippomjan Myohoji sect of Japan. It is based on the teaching of Saodharma Pundarika (the Lotus Sutra) to disseminate love and peace to create the pure land on the earth. The construction of Stupas was initiated by the revered Nichidastu Fuji Guru after the destruction Hiroshima and Nagasaki by the atom bombs resulting in the end of the second World War in 1945. The second Shanti Stupa I visited was in Rajgir, barely 100 km from the state capital Patna. Since, almost entire Bihar was in my jurisdiction I had the option to travel a lot. I visited Rajgir, which was favourite place of Lord Mahavira and Gautam Buddha both. It has been important destination in Jainism and also had been capital of many kingdoms. 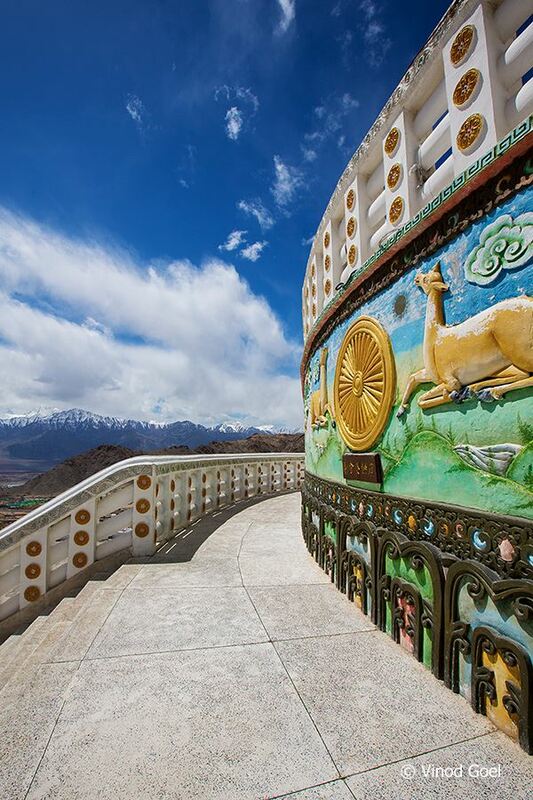 This Shanti Stupa was built in 1969 to spread the message of peace and non-violence. In 1995, on my visit to Orissa, I could see the third Shanti Stupa at Dhaulgiri, just 30-km from the capital of Orissa namely Bhuvaneshwar. This place has historical relevance because of the Battle of Kalinga in 261 BC. One could see the place of battle from the floor of the Pagoda. Ashoka, the great realized the havoc created by the War and embraced peace. This Stupa was built in 1970 on top of the hill. The work on Shanti Stupa in Delhi started in 2004 and was dedicated to the nation in November, 2008. It is at the Millennium Indraprastha Park adjacent to the Humanyu’s Tomb and the Gurudwara. I normally, see it every day while travelling in Delhi. 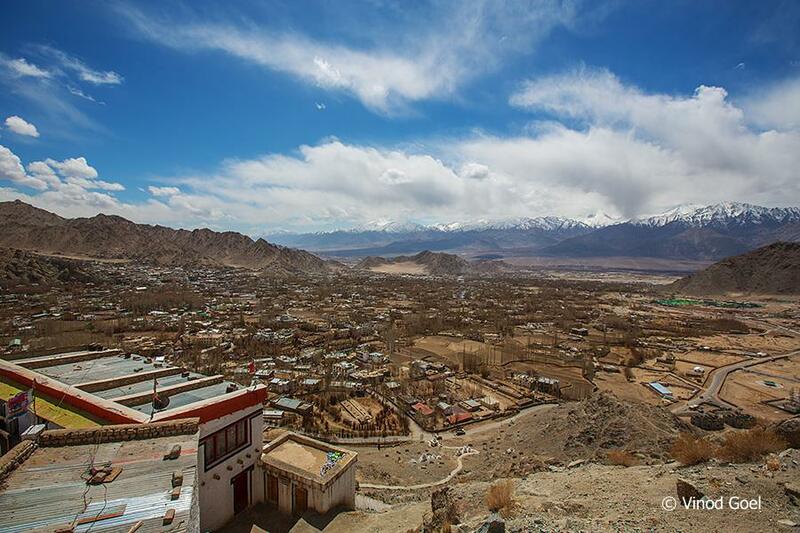 Will never forget the afternoon of 8th April, 2016 when I visited the Shanti Stupa at Leh, and had aireal view of the entire city from the Stupa. The scenic beauty mesmerized me and the night /very early view is beyond description. People come to see sunrise and sunset from this place. This was built in 1991 as a two tier structure. The first tier features the central relief of Dharahchakra with deer on both the sides. 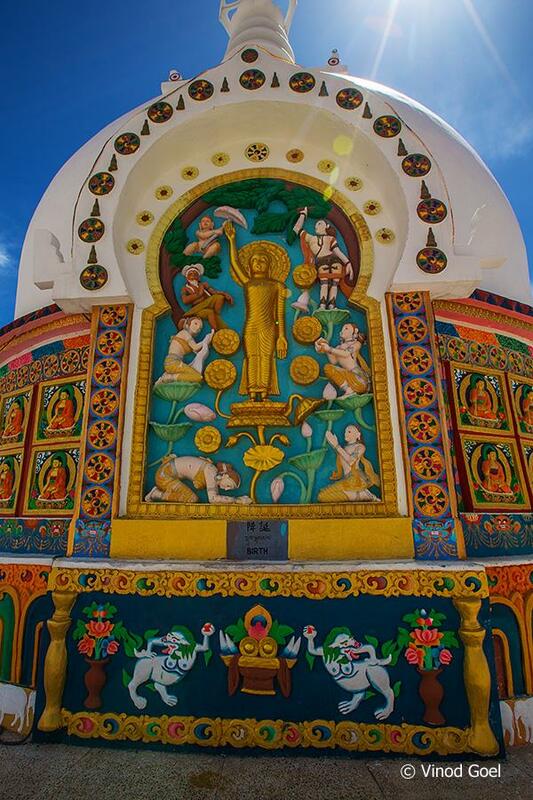 A central golden Buddha image sits on a platform depicting the turning wheel of dharma. The second level depicts the birth and death of Budhha and how Buddha defeated devils while in meditation. My visit to all the Stupas in the country has been accidental, but I feel fortunate to achieve this unique travelogue . 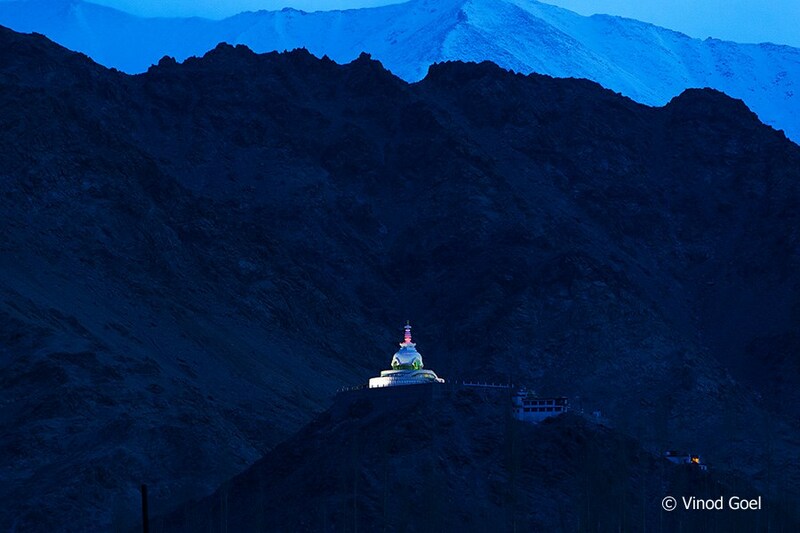 But, the beauty of the Shanti Stupa at Leh is class apart. I would suggest readers to visit all the Shanti Stupas (in India ) in order to believe in what I saw and to be at peace with yourself.